Merc 'Card' Pique Polo Shirt. The iconic Mens Retro 'Card' Polo Shirt by Merc in a clean and classic colour way. 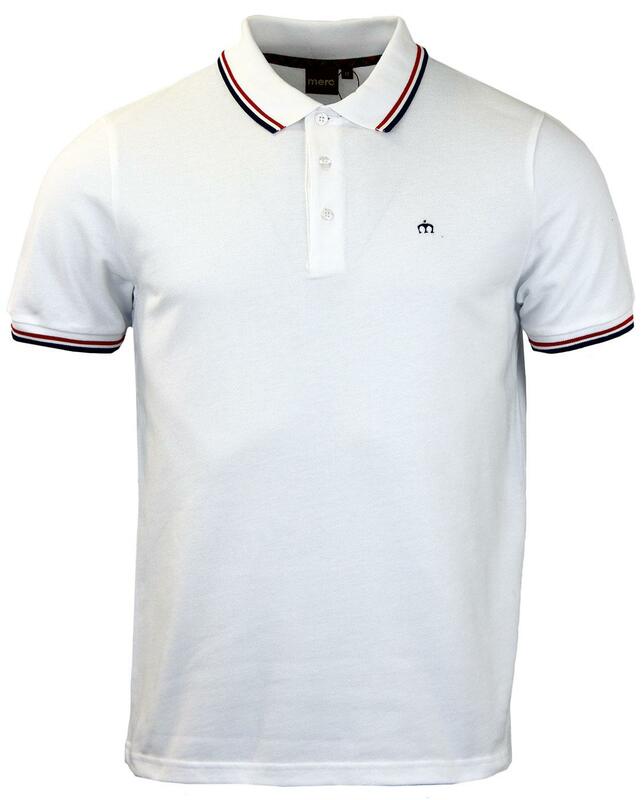 Awesome Retro tipping to the Sixties Mod polo collar and cuffs adds a striking Indie finish. 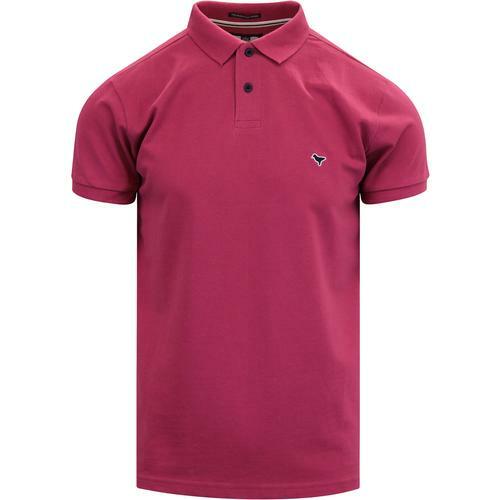 The Merc 'Card' Mod Pique Polo Shirt is a surefire Retro Clothing classic. 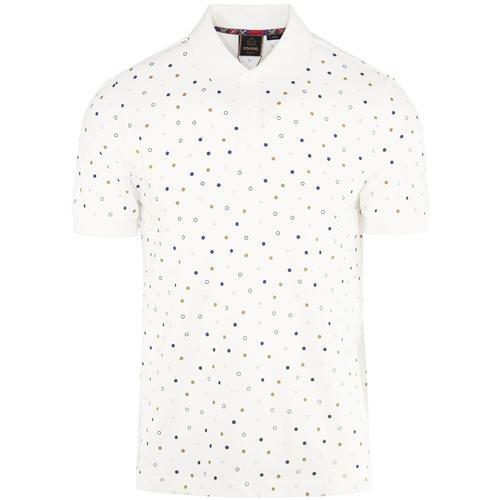 Merc 'Card' Mens White Mod Pique Polo shirt. 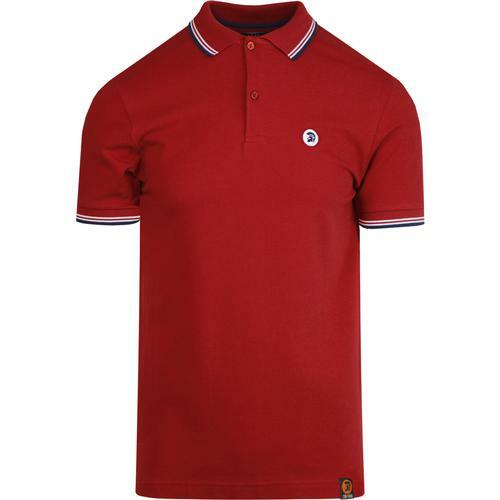 Stylish red and navy blue Retro tipping to the Mod fold over polo collar and cuffs. Iconic Merc crown embroidery to chest, 3 button placket. Retro tartan trim to inner collar. A hint of original Ivy League styling. 'Card' Mens Retro Polo Top by Merc - The pinnacle of casual Mod Clothing. Key Points: Merc 'Card' Pique Tipped Polo Shirt. 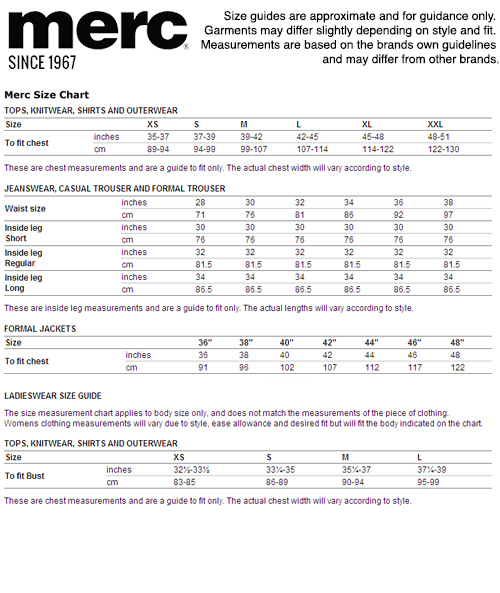 SKU: 1906203 Card Mens Pique Polo Shirt by Merc.